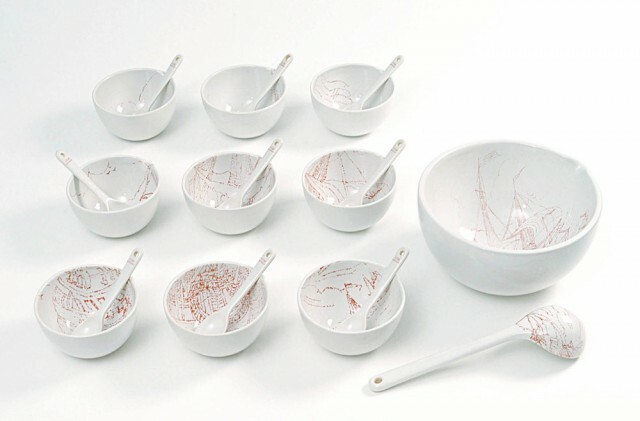 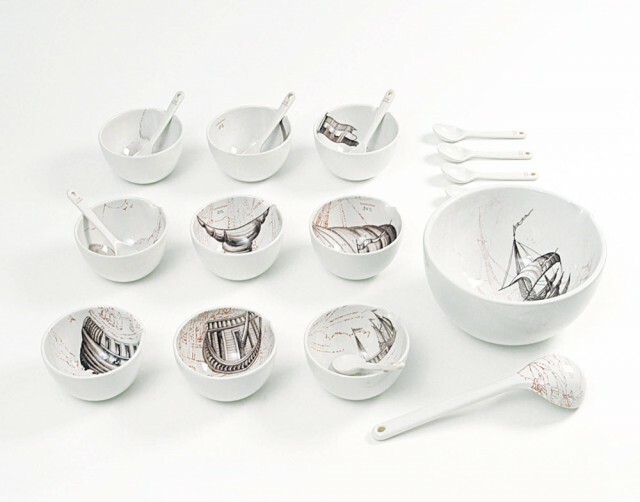 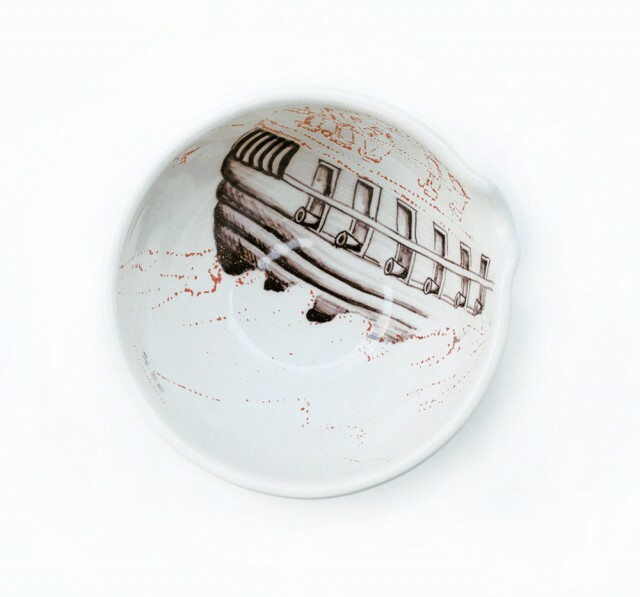 Soup Set was designed for Royal Tichelaar Makkum with the brief to create a design in which the skills of the glaze painters would be optimized. 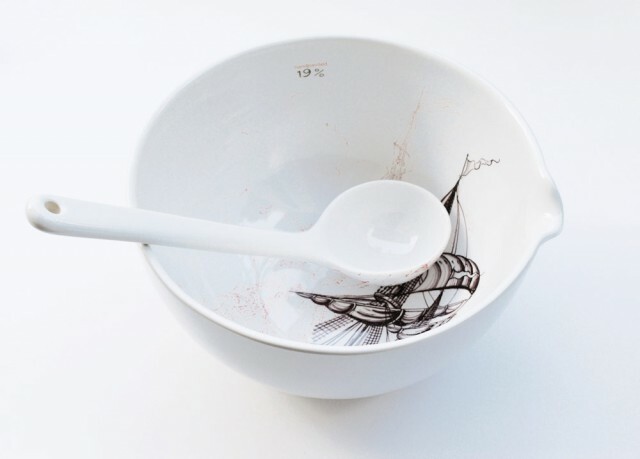 Outlines of images, referring to an old painting, are drawn on the inside of bowls. 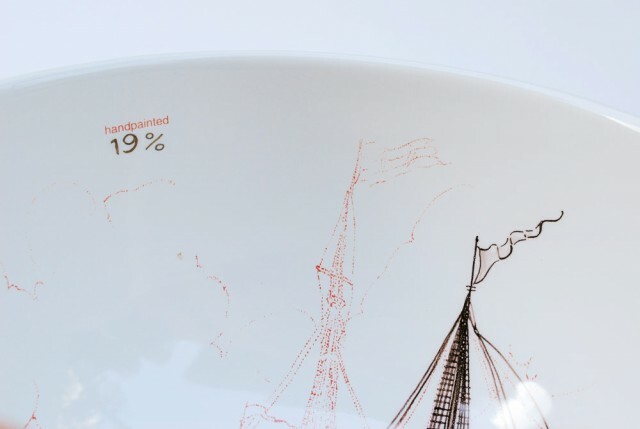 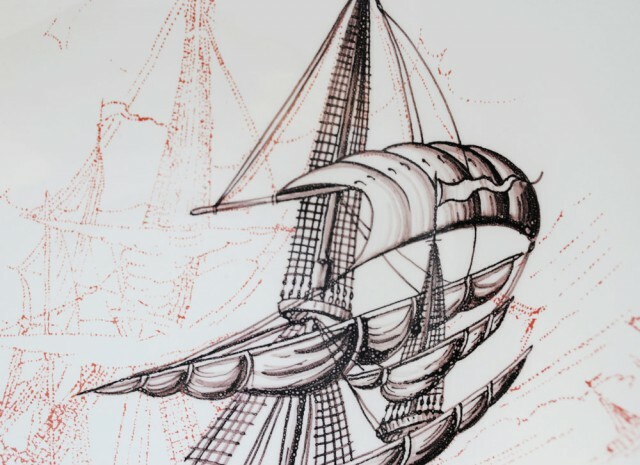 The glaze painters then add colours in varying gradations, using the outlines as a guide.